Buy or Sell - Contact John! Sachs 5th Will Find You Your Dream Home! Click Here & Request to be on our Mailing List! Sachs 5th Real Estate and Auction - SEE OUR REAL ESTATE PAGE FOR MORE LISTINGS! We Have a Great Real Estate Team! Mandie has decades of experience in Real Estate. She knows the ropes! Darleen will go to "the mat" for you, whether your are a seller or buyer! John has joined the Sachs 5th Team! John lives in Santa Fe and is very familiar with "The City Different" Contact John if you want to buy or sell in Santa Fe! Sonya has over 2 decades of experience in the real estate industry. 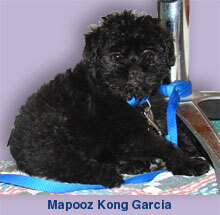 She is particularly knowledgeable in commercial real estate. Lorraine, Mandie, & Darleen are Platinum Brokers in Partnership With D.R. Horton. Contact one of us to represent you in finding You your perfect Brand New home! Then contact us! We want to represent you! Updated Medical Suite with 6 Exam Rooms and 4 Bathrooms. Room for patients and plenty of office space for record keeping. Click Here to view the CARNM report! Click Here to see the MLS listing! Thank You to all of the fantastic Realtors® who took the time to show this home. Thank You to all of the prospective buyers who looked at this home. Thank You to the Buyer. We know you will love this home. Well built, beautiful home with all of the comforts. Open floor plan with a gas Kiva fireplace, clerestory windows, and plant ledge. Fantastic kitchen with all appliances. Three bedrooms, and two baths. Too many amenities to list here! - This home is near the golf course and is ready to move into! To see the listing Click Here! - Don't Miss Out! - Contact Lorraine Today! MLS #942507 ~ A Gem of a Home! 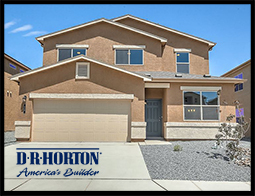 A wonderful home located on a corner lot in the Crestview area, Farmington, New Mexico. This home has remodeling/updates to include custom oak kitchen cabinets, oak molding/trim, hardwood, tile, and slate floors, and a Master Bath to die for! This home has approximately 1,431 square feet with 3 bedrooms and 2 baths. And look at the backyard that sports mature trees and a six foot, stuccoed privacy wall! The one car garage comes complete with a ton of tools. Don't Miss Out! To see this listing, CLICK HERE! 1.95 acres of vacant land located west of North Mesa Road, Belen, New Mexico! This parcel is located in the county and is adjacent to a ditch bank. Country atmosphere, but affords convenient access to I-25. To see this listing CLICK HERE! Contact Mandie Trujillo for more information!! MLS #938907 ~ Reasonably Priced Home ~ Belen ~ SALE PENDING! This wonderful home is located in Belen. It has approximately 1,134 square feet, three bedrooms, 1.75 baths, and an attached one car garage. This home is super nice and is close to schools and shopping. The Senior Center is nearby. This home is also located minutes from I-25 for an easy commute to Albuquerque. Reasonably priced, this home will go fast. Don't miss out! *Mandie, of Sachs 5th Real Estate & Auction, is the Co-listing Member for this property. The Listing Member is Eric E. Eichwald of Altura Real Estate in Los Lunas, New Mexico - 505.866.6266 - Eric is a great person, and a long time Realtor® - However, contact Mandie first if possible. Hey! This is our website! To see the listing CLICK HERE! Thanks Eric for being a wonderful representative of the professional real estate community. What a location! In the Heart of Los Lunas. Just minutes away from shopping and I-25. Move In Ready! This end unit, of approximately 1,158 square feet, has three bedrooms, 1.75 baths, and a two car garage. It has a nice sized yard for privacy. Upgrades include paint, roof, and flooring. WOW! Residential Income Property! - Existing in place! - Income Generator! - High Demand Socorro County! - Four Units plus one mobile home lot. Can Generate Five Incomes. - Don't Miss Out! To see this listing Click Here. MLS #935867 ~ Rio Communities ~ SALE PENDING! Welcoming & Spacious! This 1,595 sq. ft. end unit townhome is located in the desirable Rio Communities golf course community. It also has an enclosed patio with a sliding glass door to the Master Suite. This is a doll house you don't want to miss. Click Here to see the listing! 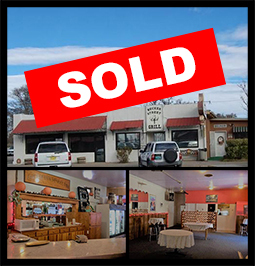 MLS #935866 ~ West Side Los Lunas ~ SOLD! ~ 13 Days on the Market! Minutes From Interstate-25 & Shopping! This magnificent 3 bedroom, 1.75 bath home is conveniently located just minutes from Interstate-25. In addition, this home is close to schools and shopping in a well established neighborhood. Plus, there is a detached storage structure with a hot tub! Thank you to the buyers! We know you will enjoy this fine home. Thank you to all of the prospective buyers who viewed this home. Thank you to all of the Realtors® who showed this home. MLS #932253 ~ Home & Workshop ~ SOLD! Thank you to the buyers! We know you will enjoy this great property. Thank you to all of the prospective buyers who viewed this home. Thank you to all of the Realtors® who showed this home. You can't beat this for living in a fine home and plus... having an "over the top" workshop! - This home is located in a quiet neighborhood just west of Los Lunas. This 1,675 square foot home has all of the amenities you would expect -- and much more! And Wow! - A great 2,400 square foot workshop with everything you could possibly dream for! Contact Mandie Trujillo for all of your real estate needs! MLS #936578 ~ Investors!... Fantastic Opportunity! In Belen! 3.72 Acres with 22 Mobile Home Spaces! Room to build your Dream Home or add more mobile home spaces. Existing spaces are separately metered. This property is located in the southern part of Belen and is only 1.2 miles from the Rail Runner and less than 2 miles from two of the I-25 interchanges! It is only about 1 mile from the intersection of Main Street and Reinken, the commercial center of Belen. Wow, what more do you want? To View this listing CLICK HERE! Stuff Happens! You may have thought you missed out, but the sale fell through. You still have a chance to own this fantastic Mini Ranchette! Don't miss out! - Note: The inspections were done and repairs made. Wow! This 1,390 square foot home has lots of remodeling and is ready to move into! It has 3 bedrooms, 1.5 baths, and all kinds of outbuildings on 2.76 acres. Bring your horses and all of your critters! To See the Listing CLICK HERE! This Bowling Alley in Belen consists of 12 Lanes, Pins, Shoes, Balls, Lights, COMPLETE WITH ALL! The property has approximately 10,500 square feet and is on approximately .76 acre. The Corner Paved Lot on the west side is included for parking. There is a 2 bedroom apartment on the upper level. Also included is 2 bedroom manufactured home. MLS #919297 ~ RV Park ~ SOLD! Thank you to the buyer. Thank you to all of the Realtors® who showed this property. Thank you to all of the prospective buyers who took the time to inspect this property. Great Investment Property. Located just off Interstate-25 approximately 1/3 mile from the I-25 interchange at Camino Del Llano in Belen, New Mexico on 1.4 acres. This location is well within a reasonable commuting distance to Albuquerque and all of the tourist attractions Albuquerque offers. - This RV Park has a great little office with an attached bathroom, A/C and storage. There are 10 spots for RVs with electricity, water, and sewer. Plus public areas for travelers to meet others from all over the country. Congrats to Darleen Aragon who listed & sold this property! MLS #928681 ~ A Great Home in Belen ~ SALE PENDING! Over 2,000 SF Plus Basement and Guest House! Don't let this older home's age fool you! It is a very well built, solid home with a floorplan that defies it's age! This very livable home has approximately 2,075 square feet of living area - 3 bedrooms, 2 baths - plus a large basement (basement not included in the living area sq. ft.) that would make a wonderful recreation/entertainment room, kid's play room, or possibly a man/woman cave! The basement has a total area of approximately 700 sq. ft - 200 SF Unfinished Mechanical/storage & 500 SF finished area. Think of the possibilities! Wow! Plus the property includes a delightful 385 sq. ft. guest house with a full bath! MLS # 927562 ~ Affordable Paradise, This is a "WOW" ~ SOLD! A Jewel in Belen ~ Now Has a New Owner! Thank you to the buyers who bought this great home. Thank you to all of the real estate professionals that showed this home. Thank you to the potential buyers that took the time to view this home. Thank you to Amy Riley of Realty One who found the buyer for this fine home. This wonderful home sold in only 15 days. Why did it sell so quickly? Because it was appropriately, and fairly, priced. Let Lorraine help you determine a fair market price and then sell your home! .55 Acre of C-1 Zoned land Just off North Main Street, Belen, New Mexico. This property is located behind Burritos Alinstante. Lots of frontage on Chavez and very reasonably priced. MLS #914748 ~ Beautiful Belen Home! ~ SALE PENDING! This fabulous adobe home has newer windows and has been meticulously cared for by one owner. It has a huge living room with a bay window and impressive gas fireplace with a lighted mantel. The foyer leads into the living room or dining room, which also has a bay window. The incredible kitchen has a round/turret breakfast area and a built-in china cabinet. The bedrooms are nice sized with plenty of storage space. This home contains approximately 1,886 sq. ft. and has one and a half baths. There is a shop in the backyard with electricity. Plus, there is a 1 car garage with a laundry room and a carport! The yards are completely xeriscaped - save on that water bill! The lot to the east is included for a total land area of approximately 1/2 acre! You must see this one before it is gone! Approximately 13,000 square feet Commercial Structure with a Recent Roof! - Located on the busy Bosque Farms Boulevard (Highway 47) with a high traffic count. This property was formerly a home center/lumber yard. Enormous potential for all kinds of possible uses. This property is listed with 1.75 acres. However, it can be purchased with 8.3 acres. Contact Sonya for all the details! To see this listing, Click Here! Buy it Today! Established local icon, partially equipped restaurant for SALE or LEASE OPTION. This property includes a 3 bedroom home that is leased as well as a recently remodeled beauty salon. This property has so much potential, anyone can make this dream their reality. Check out the Bee Whisperers on our Auction Preview Page! Starring Anthony Garcia, Co-Owner of Sachs 5th Real Estate and Auction, and Danny Sachs, brother of Lorraine! Don't Take a Chance of Missing Out. Sign up and be on our Email List!